Welcome to McEnery Turtle Farms, owned and operated by David Barnes. 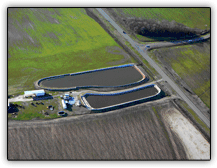 McEnery Turtle Farm is located 20 miles from Monroe at 6494 Coulee, Collinston, Louisiana in the northeastern portion of Louisiana in southern Morehouse Parish. Visitors are welcome by appointment. Copyright 2008 McEnery Turtle Farms. All Rights Reserved.